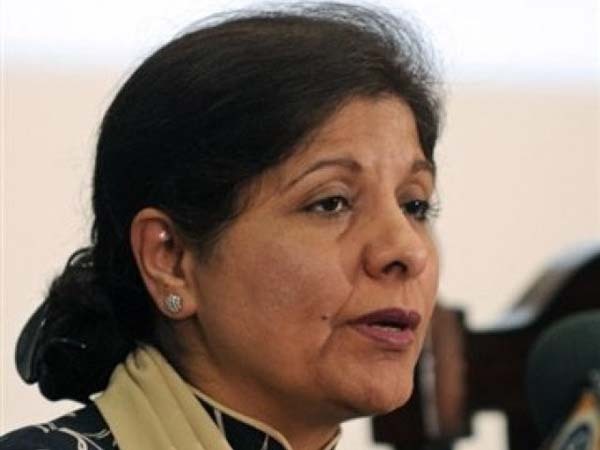 ISLAMABAD, July 9 (APP):Caretaker Minister for Finance Dr Shamshad Akhtar Modnay said the government was committed to promote both industry as well as the regulators of Islamic Banking in the country. “When I was governor of State Bank of Pakistan (SBP) few years back, we were promoting the Islamic finance industry in very aggressive manner, and the subsequent governments were also engaged in promoting the industry,” the minister said while responding to a resolution moved by Senator Shibli Faraz in the Senate. She said in order to promote the Islamic Banking, close to $3.6 billion worth of Sukuk bonds had already been floated in the international market. “Islamic financial banks have been growing at a fairly decent rate of 14.5 percent which is fairly decent for an industry that took off in early 2000s,” she added. Senator Shibli Faraz moved a resolution in the Senate urging the government to take necessary steps to abolish Riba at the earliest and at least 30 percent of all new government debts should be replaced with shariah compliant mode. The resolution also recommended that the funds of the ministry of Religious Affairs and Inter-Faith Harmony related to Hajj, Zakat and Usher should be replaced or invested under shariah compliant mode. Dr Shamshad AKhtar said the government had not any problem to replace 30 percent of government debts with shariah compliance mode but expanding the Islamic banking at fast pace would be detrimental because we have to let the market grow naturally. She said the past governments had been trying to float Sukuk but much more government properties were required for the volume that was required. “There is no dispute currently also in fact that I have met the Islamic banking heads who also highlighted lack of Sukuk underlined issues for being able to meet the liquidity reserve requirement which is the real problem,” she added. She added that in order to prepare for additional Sukuk instruments it would take a long time. Shibli Faraz said Islamic banking was a reality in Pakistan and worldwide and the government should allocate some proportion of funds to the Islamic Banking sector for borrowing. of 45 years it could not be abolished. while on the other hand in Pakistan, the interest rate was making higher. Faraz was worthy to be praised who had raised such an important matter. to the rapidly growing foreign debt. from the growers but it was collected from the purchasers. purchasers instead of the growers. and they were getting only a tiny share of what the tobacco industrialists earn. the taxes to the growers.